What are the names of all your available books? Do you have a printable list of all of your books? Where can I find the audio recordings of your books? I haven’t been able to find your books. How can I get them? What drew you to writing about the Amish? Do you have Amish contacts who are willing to share their way of life with you to help you write a more accurate portrayal of the Amish? The Amish have enriched your life a great deal. Can you share with us what you find most inspiring about their lifestyle and how it influenced your dream to write? Can you help me get an Amish friend or pen pal? I need a mentor for a writing class I’m taking. Do you mentor students? Please?! May I send you my book ideas or partially written manuscripts? What do you find most difficult about writing about the Amish? 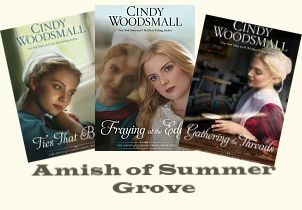 Will you write more books with Amish settings? Where can I find the large print format of your books? Most stores only carry a small selection of large print books, so I recommend looking online to find my books in large print. 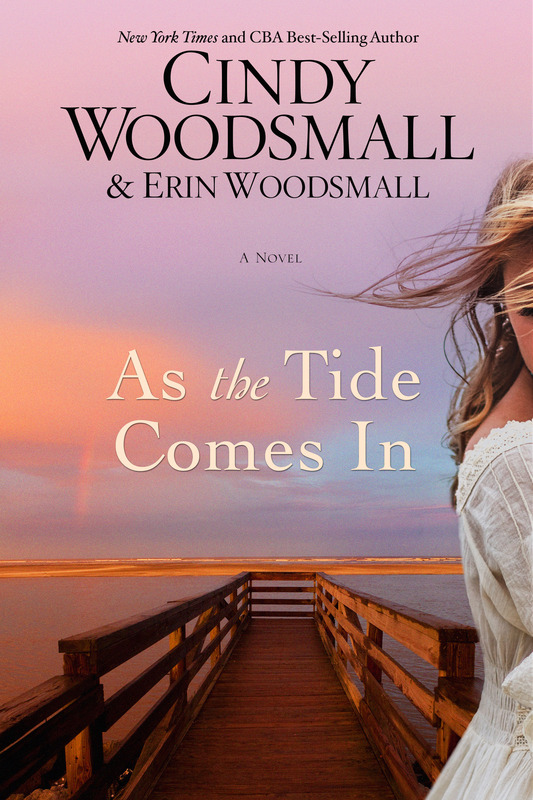 For a full list of where to find each book, go to http://www.cindywoodsmall.com/books/large-print-and-audio-formats/. My books are available at local independent bookstores as well as Barnes & Noble, LifeWay, Books-A-Million, Walmart, and the like. If you can’t find them at a store, it’s possible the stock has sold out. If so, you can ask a sales clerk or someone in customer service to order the book for you. When a store orders books for you, there are no shipping charges and they usually arrive within days of placing the order. Another way to get them is to go online and order them at Amazon.com, Barnes and Noble.com, Books-A-Million.com, CBD.com, LifeWay, or Walmart. While growing up in Maryland, I had a best friend who was an Amish-Mennonite. The moment I stepped inside her house, I could sense that there were a lot of differences between her home and mine. My friend, like all the females in her family, wore the prayer Kapp and caped dresses. Her parents didn’t allow television or radios, and many other modern conveniences were frowned upon. We only attended school together for a couple of years before her parents withdrew her from public school and began a school of their own for all the Amish-Mennonites in the area. Even though we didn’t see each other at school, we continued our friendship by spending the night in each other’s homes, sneaking off to meet halfway between our two places, or meeting at her aunt’s home, as she was my closest neighbor inside that dairy-farming community. I had a vivid imagination, and my earliest memories as a child were of me working for hours at a time on developing stories. So when she and I became friends and her lifestyle was so different from mine, my imagination constantly filtered the differences and devised stories. That time in my life planted the first seeds of writing about the “Plain” life. As an adult, I had a friend who’d worked at an Amish birthing center for twenty years. She introduced me to an Old Order Amish friend of hers. That was about nine years ago now. The Old Order Amish woman and I found that we had a lot in common. Her name is Miriam Flaud, and we’ve recently coauthored a book together Plain Wisdom: An Invitation into An Amish Home and the Hearts of Two Women. She and other Amish friends help me brainstorm my stories before I begin writing them. Sometimes, when I’m visiting an Old Order Amish home, an Amish woman will bring a baked good and we’ll have a slice along with a cup of coffee while she tells me an event from her own life that she thinks would make a good novel. Old Order Amish friends also read my manuscripts before they go to print, and we discuss the slightest details about living Old Order Amish until I’ve depicted the Amish very accurately. I’m careful not to share anything any of them feel should remain private, but what is covered in the novels and in the nonfiction is authentic. The Old Order Amish way of life has much that is inspiring. Their faith, humility, and tenacity are truly amazing. The complexity of a people choosing to live similar to those in the early 1900s is worthy of a second look. It makes me long to understand what things in that lifestyle work for them and what don’t. Understanding that may help us make some of our choices of what to allow and not allow in our Englischer lives. Theirs is a multifaceted, multilayered society that pursues God, but they are still people who deal with the same struggles we do. I’m inspired by the strength it takes to live as they do. Regardless of how man chooses to live, we will never be without the need for God to redeem us. Wherever man is, sin, mistakes, and heartaches happen. The desire to do right and the pull of the sin nature both tug on me as an author, and I enjoy the process of writing stories from that rich, yet imperfect, way of life. Some readers feel that if people dress very modestly and eschew modernization, they must be inherently “good” or even perfect. The sin nature is not destroyed just because a group of people dress a certain way or have traditions that are set on admirable foundations. And the sin nature doesn’t only have its say during the rumschpringe (young people’s time of “running around”). I love balancing the desired goal of the Amish way with the reality of being human. Thankfully, my Amish friends appreciate that I keep the stories “real” and that I don’t put them on a pedestal. Can you help me get an Amish pen pal? I’m really sorry, but I can’t assist in acquiring either an Amish pen pal or an Amish friend. There are numerous reasons why. The first one is that if all other obstacles were cleared, I couldn’t possibly meet the large number of requests I receive for an Amish pen pal. But even if I could, in order to protect all parties, I can’t in good conscience introduce someone whom I only know through the Internet or someone I’ve met briefly at a function to my Amish friends. Similarly, I can’t give out anyone’s mailing address and I can’t pass anyone a mailing address. I hope you understand. 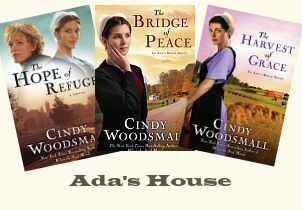 Although it’s not an equivalent substitution, I have a newsletter that is chock full of interesting tidbits about Amish life, my connections with the Amish, family stories from my Amish friends, recipes, and more. Plain News is free, and I only send out a newsletter four times a year in hopes that it will be a blessing each time it arrives. If you’d like to sign up for it, click here. I truly wish I could mentor up-and-coming writers. As a teacher at heart, I hope to have time to do this one day, but right now I’m unable to take on any mentoring projects. I do teach writing classes from time to time, as do many other authors, so if you do an Internet search for “writing class” or “writing seminar,” you may discover some excellent ones in your area. I have a web page for aspiring writers, and I’m working on adding more information to it from other published authors. 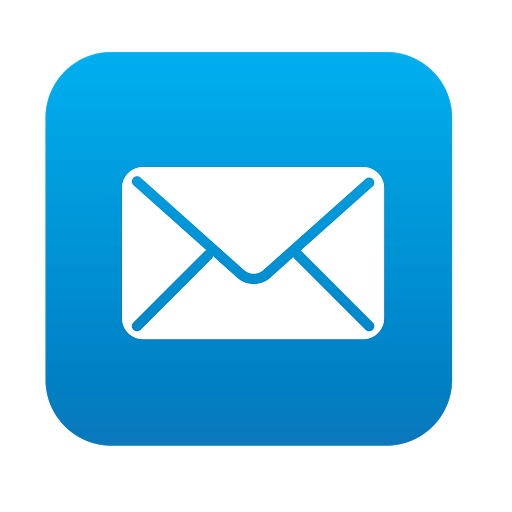 If you have a specific writing question, please feel free to send it my way, and I’ll try to get back to you within a few weeks. 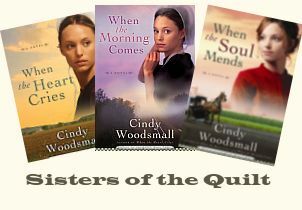 I began writing the Amish story of my heart in 1999. I went to my first writers’ conference in 2002. I had a lot to learn, so I began reading books on writing, attending conferences, and working with a writing mentor. Two years later I felt as if I was ready to turn in the first chapter to a few editors. I received wonderful feedback on my writing, even a potential offer to put me under contract if I’d write anything except Amish fiction. At the time only Beverly Lewis was writing Amish stories in trade fiction, and editors weren’t sure the market would hold strong for a second Amish author. Besides, they didn’t like the idea of a new writer following in the footsteps of such an established author. The editor felt my books were quite different from anything on the market, including Beverly Lewis’s books, but that didn’t make enough difference to get a contract . . . unless I was willing to write something other than Amish stories. I spent a few restless weeks deciding whether to follow the editor’s advice or stick to my Amish stories. It was a rough choice. It didn’t make sense for an unpublished writer to turn down the opportunity for a contract with a big publishing house. But after weeks of sleeplessness, I knew I had to continue with the story I’d written. With that decision made, I made another—to pitch my story to every editor at every conference possible. 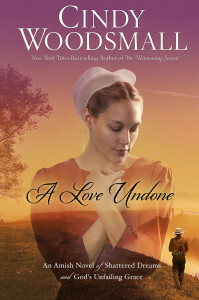 Unfortunately, with one exception, the editors I spoke with were not interested in testing the market to see if it could support a second author writing Amish fiction. In the spring of 2005, I showed my first chapter to a few more editors. One editor felt my writing and story were strong enough to sell regardless of its setting. She agreed to take it to committee, hoping her publishing house would feel as strongly about the story as she did. To my amazed delight, they offered me a contract for a three-book series. Just a few months after I landed that publisher (WaterBrook Multnomah—a division of Random House), Wanda Brunstetter’s first Amish book hit the trade fiction market. If the market was full with just one Amish writer, surely it was doubly full with two. But my books were already under contract, so we kept moving toward my release date of September 2006. My debut novel sold out within two weeks of hitting the market. That novel became an ECPA book of the year finalist along with stories by Angela Hunt, Charles Martin, and Karen Kingsbury. It was a Books-A-Million FaithPoint book club choice and won a Reviewer’s Choice Award. Four years later it’s still selling well. By the time the 2007 writers’ conferences rolled around, editors and agents were asking aspiring and established authors to write books about the Amish. It’s been a wonderful and exciting journey, and I’m very grateful that many readers enjoy stories about the Amish. Your story may be a true winner and one that would capture the readers’ hearts. Unfortunately, I cannot accept book ideas, notes, or partial or completed manuscripts. My agent has wisely advised me against any of these types of offers. If I listen to or read your story idea, even if I never use it or if I already have a similar story under contract, I’ve opened myself up to a lawsuit if you feel any of my novels contain “your” storyline. This can be true of something I write twenty years from now. If we tried to turn your work into a novel as a collaborative work, we could hit a thousand snags of creative differences, and then we will have time poured into something we can’t finish, and neither of us can get a payday. Those are just a couple of reasons. There are many, many others. When I started writing my debut novel, I wrote all I could on it, but I couldn’t get it to fit together and work well as a novel. I came to a point where I would have sold it to anyone I thought could finish it decently. But what I eventually realized is that it wasn’t the story of someone else’s heart. It was the story of my heart, and I had to figure out how to get it written. The solution for you is to either tuck the story away as a hobby you enjoyed or pursue learning how to turn your ideas into a completed novel or series. Whatever your decision, I hope the very, very best for you. The Amish lifestyle seems simple, serene, and plain, and many people want to know the real story behind the idealistic image. Amish men are raised to view having a wife and family as the highest honor accomplished on this earth…yet many have the same desires as the barhopping womanizer. The women aren’t expected to juggle careers along with parenting and homemaking. Yet Amish women today are gently challenging the traditional roles. These are common struggles we can all identify with. 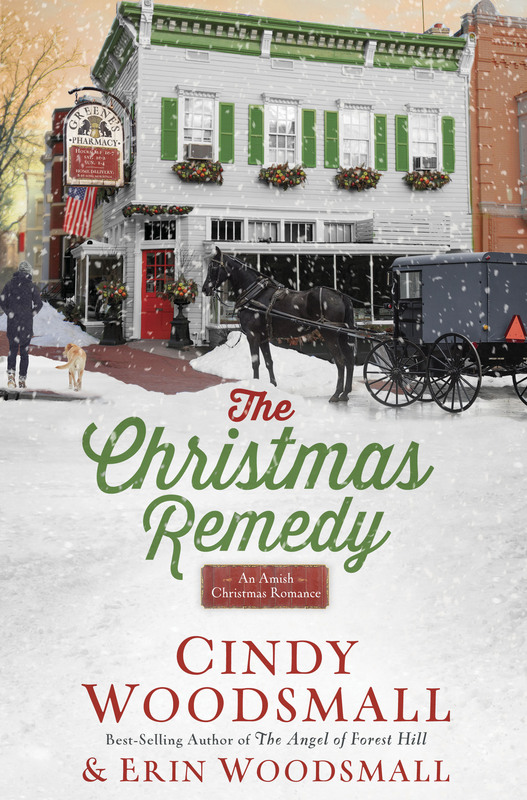 A good Amish novel has characters with the pent-up passions of the Victorian age who are facing the issues of our contemporary society, while constantly fighting not to enter the modern age. That’s a new twist to romance, which many readers find fascinating. The Amish subgenre has some similarities to science fiction’s time-travel stories. People from another century find themselves plunked in the middle of a computerized age. Now what do they do and how do they interact with those around them? But this isn’t fantasy. People of faith are playing out these issues in our own country, and the results are both freeing and heartbreaking. The written and unwritten rules of the Amish are difficult to keep, yet breaking any of them breaks the hearts of the family. That angst has the power to make a fascinating story. Writing Amish stories presents many unique challenges. When the men and women all dress the same, wear their hair the same, and have the same background, the author has to find unique ways to express the hero’s and heroine’s distinct personalities. In an average non-Amish romance, the heroine has the freedom to pursue her dreams and career goals. Since individuality is not the norm in an Amish book, I often need to talk with my Amish friends to find attractions and conflicts that are different and unique and satisfying to readers. Each time I stay with my Amish friends, my mind teems with stories with Amish settings and characters, so I hope to continue to write Amish stories for a long time to come.